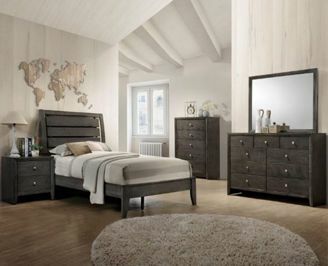 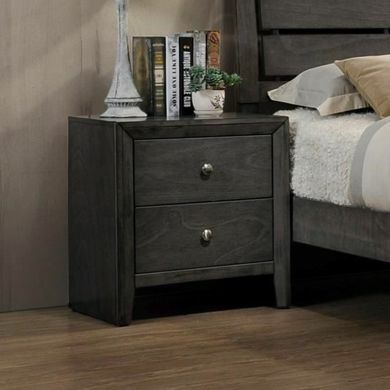 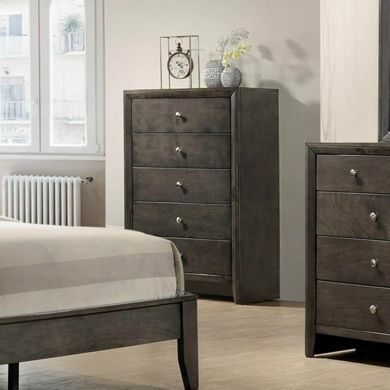 The Evan Gray Bedroom Collection in a modern contemporary appeal presents a selection of case-goods constructed using 100% solid wood. 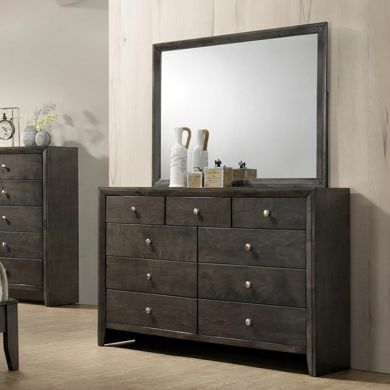 The silver finish button shaped knobs standout next to the beautiful warm brown finish. 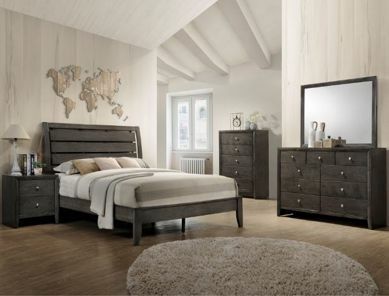 Framed panels of horizontal slats headboard in tapered legs add visual appeal throughout.